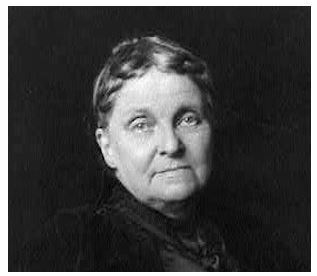 You might not be familiar with the “witch of Wall Street.” Hetty Green died in 1916 after accumulating a fortune worth an estimated $200 million, or about $4.5 billion in today’s dollars. You probably have heard of JP Morgan who lived around that same time, yet had a fortune of just $80 million. Before we get to her investing secrets, we will answer the question you almost certainly have which is why she was called the witch of Wall Street. The New England Historical Society explains some her habits included “eating a lunch of oatmeal heated on a radiator. She moved frequently among cheap apartments in Brooklyn, N.Y., and Hoboken, N.J., to avoid establishing a residence and paying taxes. Hetty was short for Henrietta and Henrietta Green may have been the first women on Wall Street. And, to understand how unusual it was for a woman to do things like this, consider the fact that she died before women were allowed to vote nationally, a right they won in 1920. Like Warren Buffett, her business career began when she was young. Her family owned a large whaling fleet in New England when whale oil was used for light. She began reading financial news to her father when she was 6 and was responsible for maintaining the financial statements for the family business by the time she was 13. She inherited an estimated $7 million when her father died in 1865 and became a full time investor. Her secret to success was simple, although she insisted there was no secret, “There is no great secret in fortune-making … All you do is buy cheap and sell dear, act with thrift and shrewdness and be persistent,” she said. Like Buffett, Green was ready for crises. Panics were a regular occurrence during her investment career. In the financial panics of 1873, 1893 and 1907 she had cash available to buy bonds, shares of railroad companies and real estate at deep discounts. The Panic of 1907 is long forgotten but was steep. The Dow Jones Industrial Average lost almost 49% in the bear market. According to the Federal Reserve,“The Panic of 1907 was the first worldwide financial crisis of the twentieth century. It transformed a recession into a contraction surpassed in severity only by the Great Depression. While the panic ruined many on Wall Street, Green’s cash provided an opportunity for her to grow her fortune. In 1907 she bailed out the City of New York when the banks were unable to. She was part of a group that JP Morgan famously put together to limit the impact of that crisis. She loaned $1.1 million and took short-term municipal bonds for collateral. The bonds paid a relatively high interest rate of 5.5%. In this way, her actions were again similar to Buffett’s. The Oracle of Omaha provided billions to Goldman Sachs and General Electric during the financial crisis and enjoyed an above market interest rate of 10% on his investments, 100 years after Hetty Green did the same thing. Although Green seemed to have traded in any financial instrument that offered value, she seemed to favor hard assets. She invested primarily in the shares of rail roads, which were the largest sector of the stock market at that time, rail road bonds, real estate and mortgages. 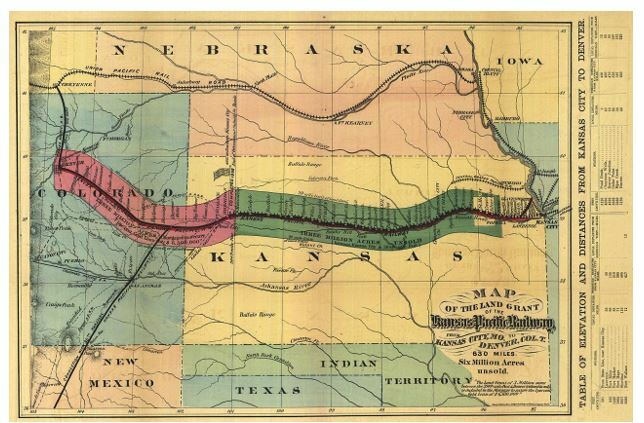 In the late 1800s, rail roads offered an investment in their operations and in land. The government gave the companies thousands of acres of land to build on and included mineral rights in the land grants. An example of the breadth of these grants is below. At the time of her death she was reported to have owned 6,000 properties in 48 states. Along with railways, hotels and office buildings she also owned cemeteries and held mortgages on almost 600 churches. Her approach to land was to look for fast growing cities and buy land on the outskirts of the booming city. In other words, she waited for the city to come to her and was rewarded for her foresight when it did. Despite her great wealth, Green is largely unknown today. While other rich families created foundations or focused their philanthropy, Green’s wealth passed to her children and was eventually divided among 64 colleges, churches, hospitals, and other charities. But, her investment lessons live on. Buy cheap assets. Sell when they are overvalued. And, have cash reserves at the ready when opportunities become available.